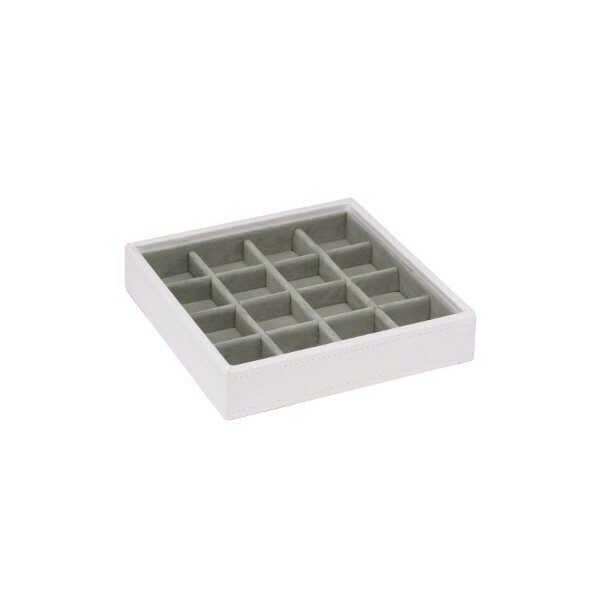 This white criss cross stacker is ideal for storing earrings and other smaller items of jewellery. Offers more flexibility for storage or overflow beads. 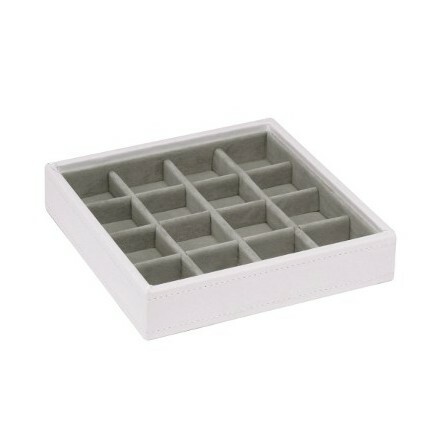 It features a grey velvet soft lining to protect your valuable items, for use with our stackable lidded jewellery tray.